This was the idea behind Amazon’s purchase of the Kiva robotic system in 2012 when they chose to invest $775 million to acquire the company. The latest generation of robots was released by Amazing 2014, and since then the Kiva bots have assisted Amazon’s eCommerce fulfilment by zooming around shelves and picking goods in a matter of minutes. 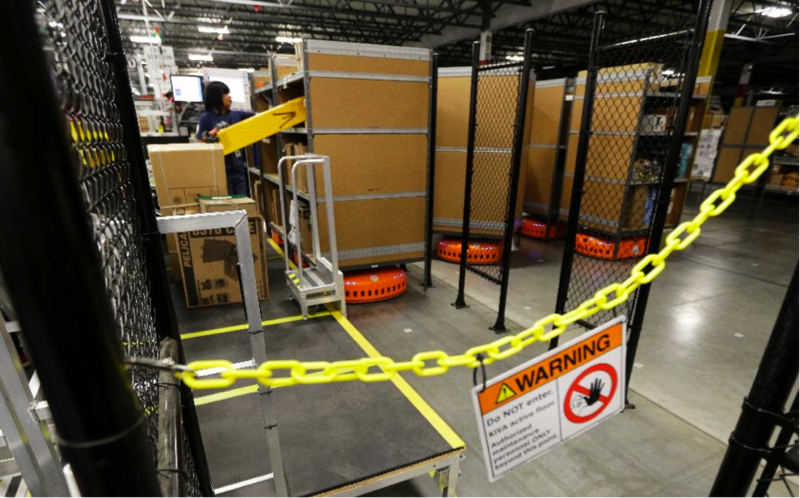 But Amazon isn’t the only one innovating when it comes to robotics in the warehouse. Below we look at 3 companies that have transformed their warehouses with robotics. Dematic’s new picking technology, dubbed the RapidPick XT, was developed in order to respond to the constantly changing expectations of consumers. RapidPick XT is a robotic picking system that presents items in a desired sequence. For example, you may choose to pick heavy items first and fragile items last. Workstations can also accommodate totes and/or cartons of different sizes to facilitate picking directly into the shipping container. The Open Shuttle is part of Knapp’s carton and tote handling range, however, it utilises trackless navigation by directly integrating with complementary systems such as the OSR shuttle. 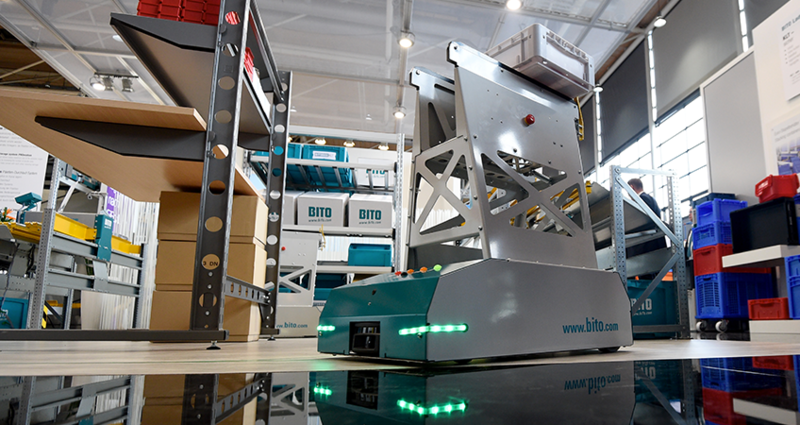 Essentially the Open Shuttle are free-moving robots that can be used for transport throughout their distribution centre. These robots are different from conventional automated guided vehicle systems because they manoeuvre through the space without optical or physical aids, allowing seamless integration in the existing environment. 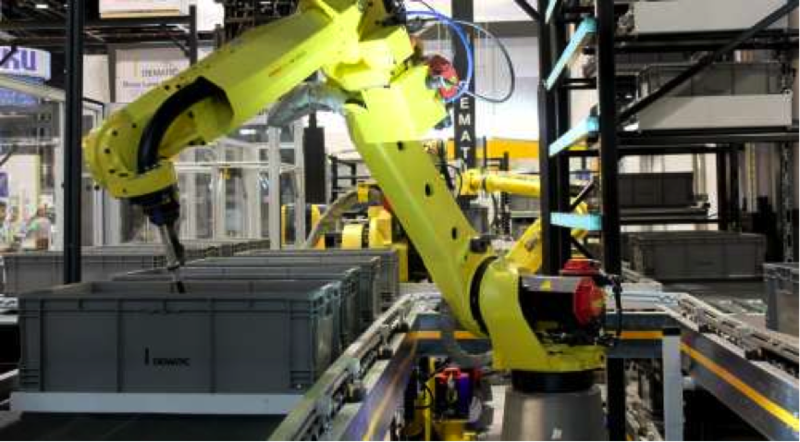 DHL has announced that it is testing two types of robot in one of its facilities, the two models, known as Baxter and Sawyer, will assist staff with handling package assembly and packaging. Vice President of solutions design North America at DHL Supply Chain, Adrian Kumar states that these robots will helps their operations to run more efficiently year-round. “Baxter and Sawyer robots are some of the most advanced collaborative robots on the market, and we plan to deploy them in a variety of packaging and inventory tasks that will allow us to use our employees for higher value work,” Adrian states. What do these new robots mean for warehouse operations? The rapid growth of eCommerce requires new technologies to support high volumes of small, multi-line orders. Fulfilment networks have been placed under a lot of pressure to adopt goods-to-person automation. Autonomous mobile robotics are being developing by number of established warehouse automation providers. Robotics have embedded intelligence and software applications that are key to saving time when utilising manual labour for logistics automation. If you’d like to make your operations more efficient as a result of growing demand for eCommerce, autonomous robots that navigate their own way through the warehouse may be considered quite an upfront investment, but the money it will save you in the long run in picking and packing time, labour costs and delivery times are surely worth it.